Art fairs are like the Hydra—chop one head off and several more sprout up in its place. This month saw the inauguration of two new fairs in Asia alone, with Taipei Dangdai kicking off in the third week of January, followed by S.E.A. Focus the very next week in Singapore (24–27 January 2019). 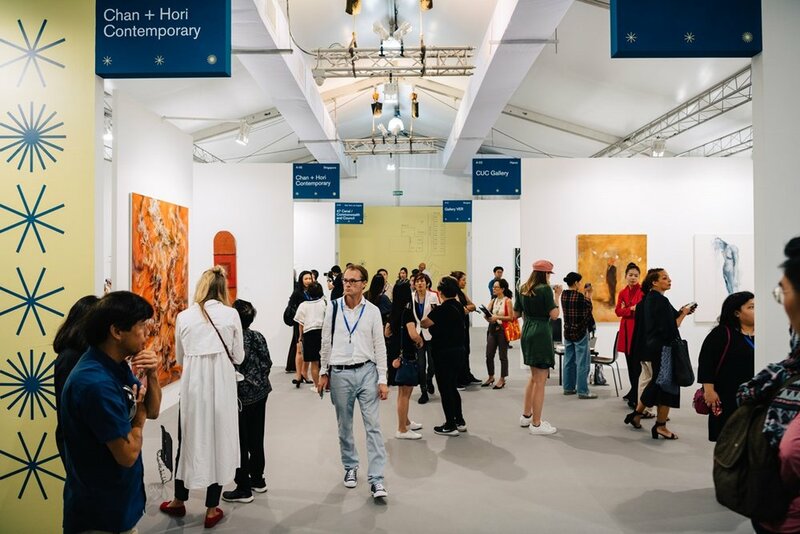 February also sees the launch of the first edition of Frieze LA, with the first Art SG set to happen in Singapore this November, promising 60 to 70 'established and experimental galleries from Singapore, Southeast Asia and the world'. Part of Singapore Art Week, S.E.A. Focus (S.E.A. stands for South East Asia) launched just as Art Stage Singapore was abruptly cancelled, days before it was set to open its ninth edition, leaving 45 participating galleries who had already paid for attendance in the lurch. (With visitor attendance dropping from 51,000 in 2015 to 26,500 last year, the 2018 edition already showed signs of a sad decline.) Art Stage director Lorenzo Rudolf, who transformed a modest Art Basel in the 1990s into a mega-fair and developed the concept for Art Basel Miami Beach, blamed declining exhibitors and lack of interest on Singapore's difficult art market.